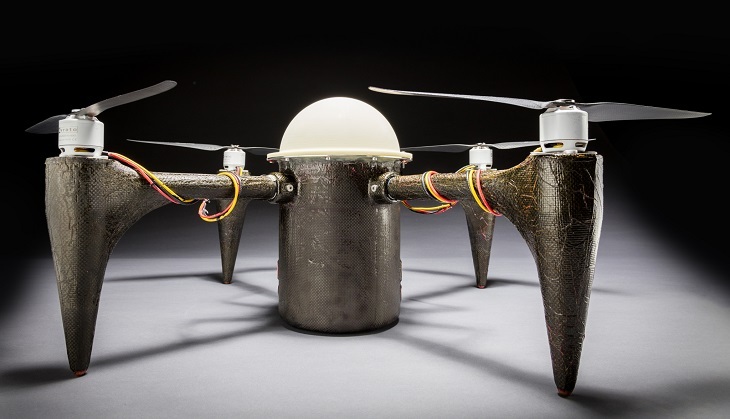 A 3D printed drone was created by the researchers of Johns Hopkins University is capable to stay underwater for two months and fly in the air when directed. The drone was called CRACUNS or Corrosion Resistant Aerial Covert Unmanned Nautical System. People can use it when gathering information for their missions wherein further improvements were done on how the drone can move from aerial to underwater environment with ease even for several times. The underwater drone was designed for the NAVY and it was the first and only submersible UAV that can be attached to a submarine or controlled as an underwater transportation that can be hidden but always in action. It can be detached from its base for it to float on the surface of the water and will eventually fly in the air. Creating an underwater drone was made possible by the researchers by designing it is such a way that it can survive and will still function even when it is underwater and without the presence of any metals parts that can be prone to corrosion. This is when they have rely on the advanced technology of the Research and Exploratory Development Department that provided them with a 3D printed parts just to come up with a lightweight and submersible airframe. 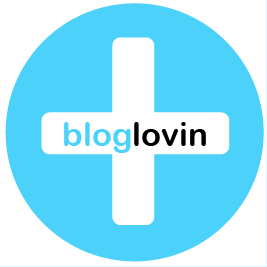 In order to protect the sensitive parts of CRANCUS, they have placed a vessel where they can put these components. On the other hand, the parts that need to be exposed were covered by a protective coating that is commercially available and can be obtained at a lower cost. 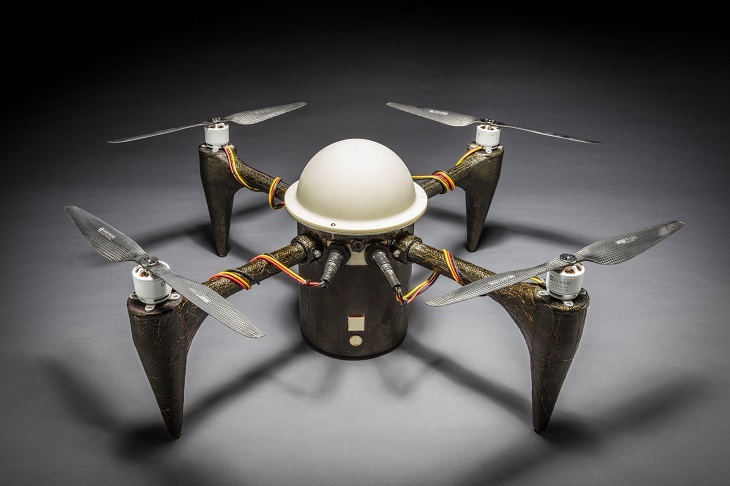 When CRACUNS was tested in the laboratory, the drone was left underwater for about two months. There were no signs of corrosion at it was able to fly naturally. How is CRANCUS Different from Other Drones? The APL team said that CRACUNS have unique abilities that you can never find in other types of drones. Aside from the fact that you can easily operate it in harsh environment, it can also assure flexibility and can be used for different kinds of missions. It is also an advantage that the parts of the drone were 3D printed and make use of a cheap coating because it will not be hard for you to decide utilizing it as disposable equipment during risky operations. It can also be helpful in monitoring the seas for those who are not a part of the military. 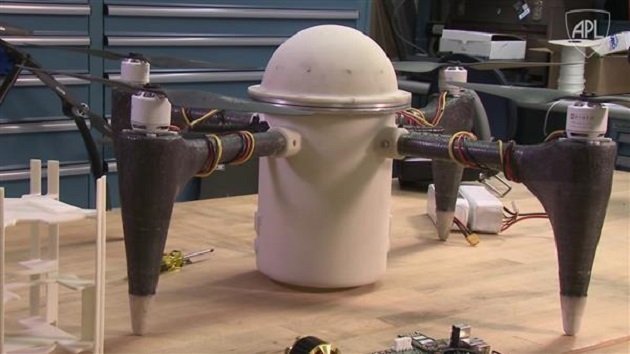 According to mechanical and aerospace engineer named Rich Hooks, CRACUNS was able to show people that it is possible to control and create an unmanned system like this underwater drone. He was responsible in the progress on how the drone works. CRACUNS remains to be on its prototype phase yet you can already see how great its functions are. 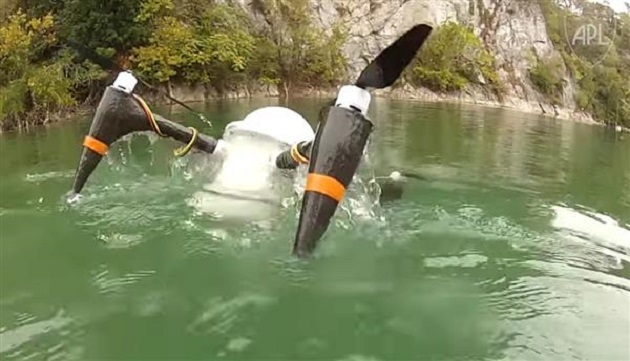 At present, the waterproof 3D printed drone can possibly take off from underwater and fly into the air. The team is still working on how CRACUNS can go back to water after completing an aerial mission.